The terms "sole proprietor" and "independent contractor" are both used to discuss small business owners, usually one-person businesses. So, are they the same thing? What's the difference? Here's the short answer: The terms "sole proprietor" and "independent contractor" are both used to describe single-person businesses, but they are used in different contexts. You can be both a sole proprietor and an independent contractor. You can be a sole proprietor as a taxpayer, paying your taxes on Schedule C, along with your personal income taxes. At the same time, you can be an independent contractor as it relates to working for someone else and receiving a 1099-MISC to show your earnings, instead of a W-2 (received by employees). Your 1099-MISC income is included in your Schedule C, along with other business income you receive. They are essentially the same: both are self-employed. The big difference is in how they are considered for certain taxes. The sole proprietor is a type of business for income tax purposes, and an independent contractor is the opposite of an employee, for payroll tax purposes. A sole proprietor is a one-person business that has not registered with a state as a business entity, such as a corporation, partnership, or LLC. in other words, a sole proprietor is the default business type, for income tax purposes. If you start a business, count business expenses and income separately from personal expenses and income, and you do nothing to register your business with your state, you're a sole proprietor. An independent contractor is someone who is working for someone else and who provides services, but who is not an employee. An independent contractor is typically a creative professional or technical person, like a designer, web expert, or IT professional. The independent contractor receives a 1099-MISC form at the end of the year, instead of a W-2, showing total income received from companies for whom the contractor has worked. An independent contractor can be any type of business entity (sole proprietor, corporation, LLC, partnership), but most independent contractors are sole proprietors. 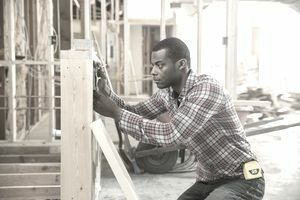 Since the independent contractor is not an employee, no payroll taxes are deducted from payments to the contractor, so the contractor is responsible for paying self-employment taxes (Social Security and Medicare), along with income taxes. Do all Small Businesses Get 1099-MISC forms for Income? You would only get a 1099-MISC form if you worked as an independent contractor for someone who paid you for your services. If you are selling products, or in some other specific cases, you would not receive a 1099-MISC form, but you would get your business income from the sale of those products. So, How Can I Be Both a Sole Proprietor and an Independent Contractor? Both independent contractors and sole proprietors are business owners. They both keep track of business income and expenses; they both file income taxes using Schedule C (unless a different business type is chosen), and both pay self-employment taxes. You can see that these two designations are talking about the same business, and the differences are really only are relevant to how income is received, so you can be both. For example, a sole proprietor might receive 1099 income from a contracting employer and also receive other business income from sales of a product or service. At the end of the year, all income is included in calculating the business's income taxes. If you are operating two different businesses, you can be a sole proprietor in both and an independent contractor in both. How Do I Pay Income Taxes - As an Independent Contractor or a Sole Proprietor? If you haven't registered your one-person business like any other legal entity, such as an LLC, corporation, or S corporation, your business is considered by the IRS to be a sole proprietorship business by default. You would pay your business income taxes as a sole proprietor by completing a Schedule C form showing your income and expenses. The net income from your Schedule C goes into your personal tax return, along with other income. Any income from a 1099-MISC will go into the Schedule C, along with other business income. Do I Have to Do Anything to Be a Sole Proprietor or Independent Contractor? You don't have to register your small business as a sole proprietor with your state, as you would have to do if you have an LLC or corporation business type. And you don't need to register as an independent contractor if you receive a 1099-MISC form from someone you worked for. Do I Have to Pay Self-Employment Taxes? Self-employment taxes are taxes for Social Security and Medicare for self-employed business owners, including those who receive 1099-MISC income. Everyone who works in the U.S. (has "earned income") must pay these taxes. Employees pay through withholding from their paychecks. Since you don't have a paycheck (you aren't an employee), you don't have withholding. You must report your business net income (income minus expenses) on your Schedule C and complete a Schedule SE for the calculation of the self-employment tax you owe. The self-employment tax owed is added to your other taxes on your 1040. You will probably have to pay estimated taxes during the year to avoid penalties for late payment.